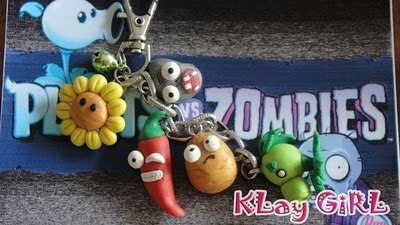 Klay Girl is celebrating its first year anniversary (February 20) and as a treat to all the lovers of art and crafts, Klay Girl is giving away one Plants Vs. Zombies Key Charm (a bestseller!). How to win it? Simple steps! 1. Follow her blog using Google Connect, or Facebook Networked Blogs. 2. Like the Klay Girl Facebook Page. 3. Leave your comment on her pagew. I suggest that you comment/log in as Facebook user for easy validation. 4. Wait for the announcement of winners in this blog!